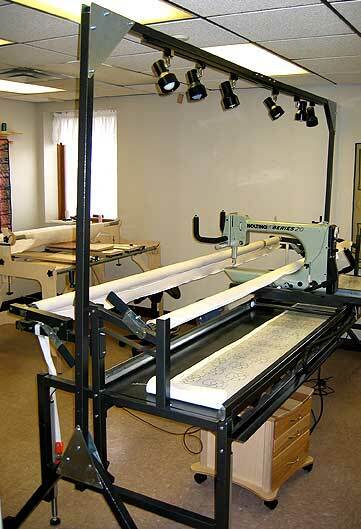 Overhead Light Bar has six adjustable lights, fits any quilting frame, adjustable height and position. The Nolting overhead light bar is a freestanding unit. It will work with any frame, even brand X. It is adjustable in height and position. Nolting Overhead Light Bar Information.